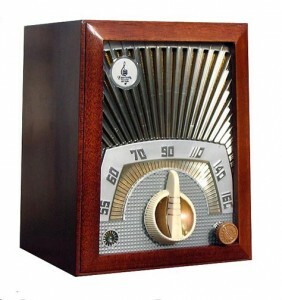 Nothing special – I just like this radio design. Emerson 713. This entry was posted in General Interest, Music Technology and tagged tube radio, tubes. Bookmark the permalink.